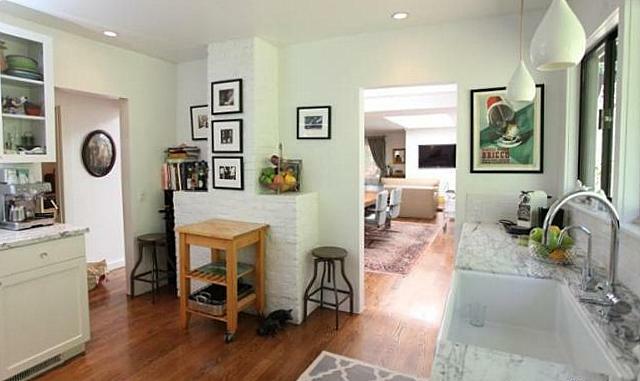 The Elysian Heights Craftsman-turn-Modernist study at 2412 Echo Park Avenue sold for approximately $846k in August 2012. Not surprisingly, the kitchen had its own gravitas — a Thermador range, Liebherr fridge, Dornbracht fixtures, and Statuary marble (Carrara’s less veiny sibling) — graced the space. The home, along with a glass-paneled artist studio, is below street-level and tucked into the hillside.